BeYonder Involve was formed in 2014 as a philanthropic group with a growing membership of individuals drawn from the creative, educational and business worlds. 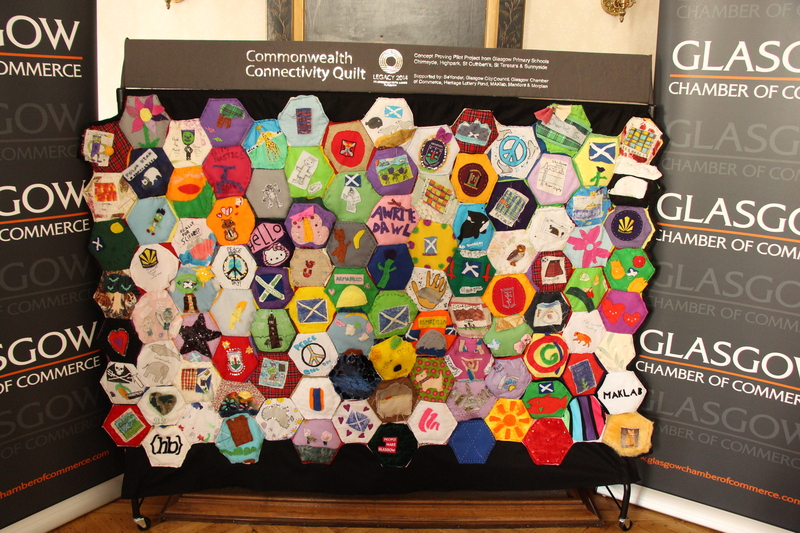 With strong links to the textile industry through BeYonder Ltd, BeYonder Involve developed the Commonwealth Connectivity Quilt (CCQ) as its first major project. The CCQ began with a simple aim of inspiring a love of sewing in as young an age group as possible and connect that to training in the art of textile assembly using machinery funded by the Heritage Lottery Fund. 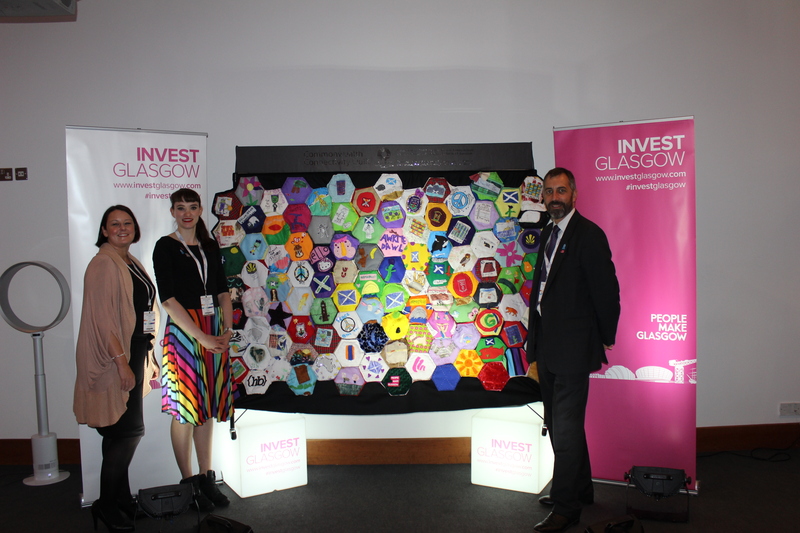 It was a major boost to the project when we gained the support of Glasgow City Council Education Services to pilot the concept in 5 Glasgow primary schools: Chirnsyde, Highpark, St. Cuthbert’s, St. Teresa’s and Sunnyside. The effort which the young Glasgow citizens at those schools gave was truly inspirational and they should all be as proud of the finished work as we are of their individual contributions. 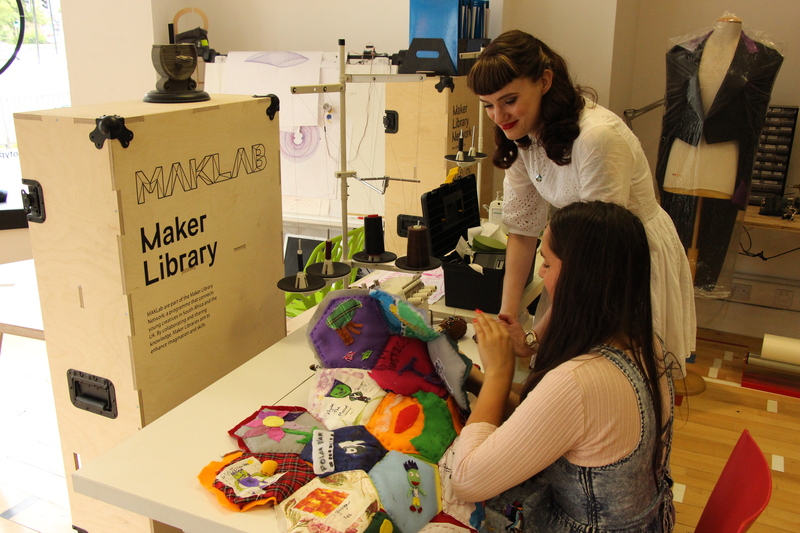 The individual quilt panels produced by these wonderful young people were sent back to BeYonder’s creative prototyping and training base at MAKLab where they were assembled into the finished work pictured above. The work was completed by our young fashion and fabric trainees under the expert tutelage of BeYonder’s Creative Designer, Iona Barker. Other philanthropic work from BeYonder Involve at MAKLab includes design and development work using material very kindly donated by Hoodlamb who produce amazing clothing from hemp. We are very grateful to them for providing the material which was used to make the title banner at the top of the quilt. Work is continuing with the CCQ project for a major re-launch in early January 2015. If you want to make quilt panels of your own then CLICK HERE to go to our instructional video and instruction booklet.